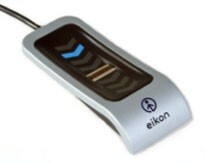 The Eikon family of USB capacitive fingerprint readers provide quick and reliable biometric authentication. Our patented technology reaches up into the ridges and valleys of the fingerprint to capture fine print details. The result is the ability to capture a wide range of fingerprints. The Digital ID Hardware Engine companion processor performs match-on-device and OTP generation in secure, dedicated hardware. 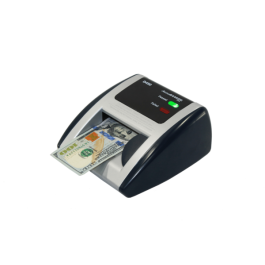 Eikon II - A swipe reader ideal for single user applications. Eikon fingerprint readers are designed for use with DigitalPersona’s software including our authentication solution, DigitalPersona Pro Enterprise. Our Software Development Kits offer flexible APIs to enable fast integration with a broad range of applications. Whether you are an enterprise customer or a system integrator, DigitalPersona’s biometric identity verification solutions provide a natural extension to your security system and applications.